Cooking at home allows you to have a full control over your meals: You get to choose the ingredients, as well as the cooking method you’ll use. Eating out, on the other hand, makes it quite difficult to stick with your diet rules. Although it’s alright to indulge from time to time, there are still some food choices that aren’t worth gaining calories just like the following foods. Salads with Creamy Dressings. Eating salads can help in achieving your fitness goals, but with the wrong combination of ingredients, your supposedly ‘healthy’ greens can turn into an extremely fattening dish. The culprit behind those hidden calories? The rich and creamy dressings. Don’t worry though, since you can still avoid gaining the hidden calories by opting for healthier and lighter dressing options like balsamic vinegar, or lemon and olive oil. Crispy Dishes. A dish described as ‘crispy’ is simply a euphemism of a meal that’s breaded and fried, which is exactly the kind of dish that you’d want to avoid at all cost. For healthier alternatives, look for dishes with descriptors like ‘steamed’ or ‘grilled’ as these are healthier cooking methods than deep frying. Bread Basket. Although we don’t take the stance that carbs are the enemy of dieters, having a bread basket placed on your table before your meals arrive can be a complete recipe for a diet disaster. 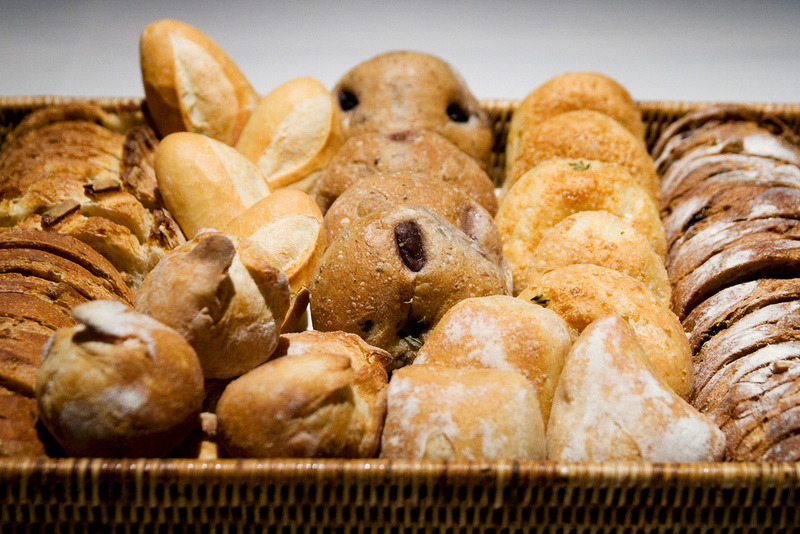 We’ve all made the mistake of eating way too much bread before we even touched our meal. If you just can’t resist the bread’s temptation, simply ask your waiter to remove the basket or place it somewhere that’s not within your reach to avoid mindless eating. Mixed Drinks. Mixed drinks sure are delicious, but remember that they’re also full of sugar. Instead, just order a glass of red wine, or a vodka soda, to limit your sugar intake even while indulging. Meals Ordered By Your Dining Partner. 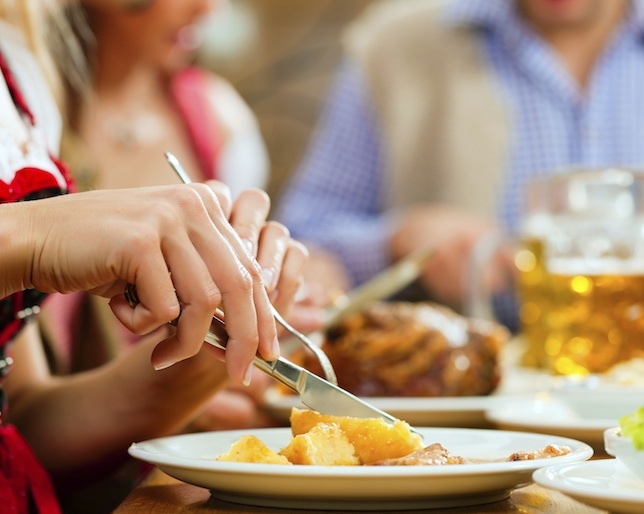 It may sound ridiculous, but you can be easily influenced with the food choices that your dining partner makes. If you’re really serious about losing weight or eating healthier, take the initiative to order first to ensure that you won’t be swayed by what your friends will be ordering. Just think of the times when you intended to order a vegetable dish or a salad, only to change your mind when you heard someone ordering pasta. 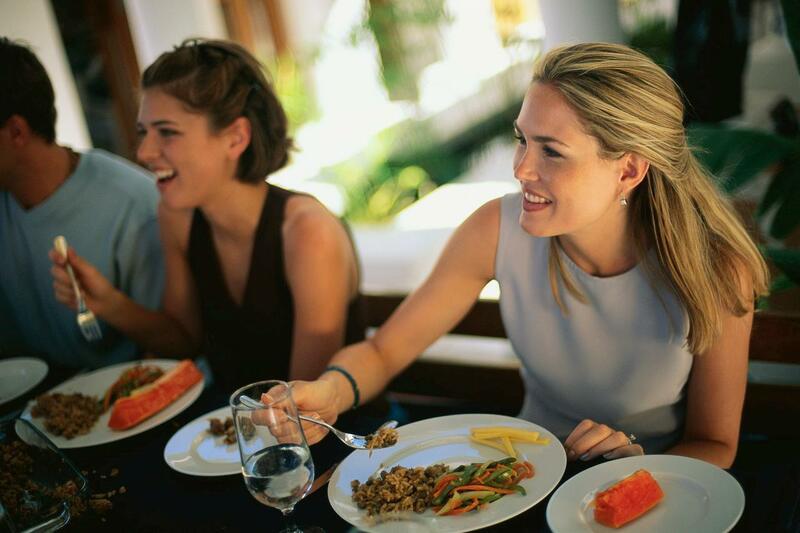 Eating healthy when you’re dining out can really be quite difficult to do, but by avoiding the aforementioned foods and meals, you’ll surely be able to stand by your diet rules and still enjoy your meal.